We have taken the time to taste and review Chinese restaurants in NJ and after careful consideration, we have come up with a list of our favorite picks. Please comment and add your favorites so we can make list an authoritative one. But first things first. Let’s quickly cut to the chase and give the top dog in NJ Chinese Cuisine. What is the #1 overall best Chinese Restaurant in all of NJ? 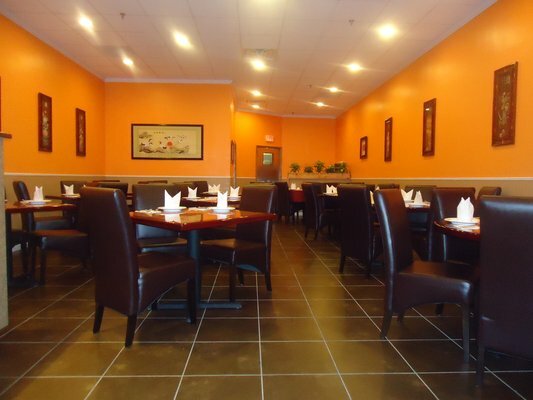 Peking Pavilion (pictured above) is our choice for the best overall Chinese in NJ. From their amazing modern decor, to their always consistent delicacies of Grand Marnier Prawns, Bell & Evans Organic Peking Chicken and Whole Crispy Fish, we guarantee that visitors will not be disappointed. But believe it or not, the real star here is their Critically Acclaimed 24oz. New York Strip Steak. In four words. It’s to die for. Their 100% Angus steaks are hand selected and dry aged on premises. They are then seared perfectly with their secret spice blend. These succulent mouthwatering steaks are over two inches thick! Before we get on with it and give you all of our choices of the best Chinese Cuisine in NJ, we’d like to talk a little history. Chinese cuisine introduced a culture of new flavors to America in the 19th century. This fusion started in San Francisco, California, after small restaurants tried to emulate the traditional dishes served in larger scaled eateries operated by the Chinese. In order to appeal to the American palate, chefs started altering their recipes, adding an American twist to traditional Chinese dishes. Now two centuries later, Chinese food can be found throughout the United States. Within the New Jersey region, Chinese cuisine is highly popular and is offered in many different styles. 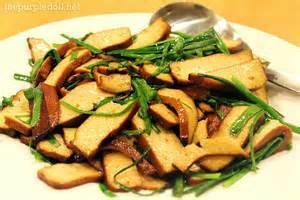 Below is a list of common types of regional Chinese cuisine and their general properties. American Chinese – (General Chinese) – A mellower less spiced blend of Chinese food. This style comprises of a lot of the small take-out restaurants that you see all over NJ and in just about every town. 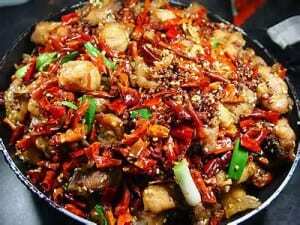 Sichuan – Spicy with rich sauces usually loaded with garlic and cooked with a strong amount of chili peppers. Cantonese – Cantonese has a sweeter edge to it. 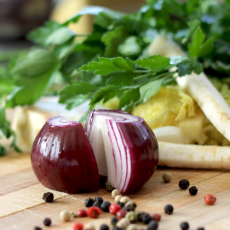 Alot of dishes are cooked for longer periods of time by means of braising and stewing. Zhejiang (ze) – A lighter fare usually comprising of a lot of seafood, poultry and bamboo shoots. Shandong (lu)- From the Eastern coast province in China. Uses a lot of soups and seafood, It is a simplified and traditional regional fare. Hui – Straightforward and uncomplicated with alot more stewing and hardly any stir frying. Jiangsu (su) – Think sweet and sour with the use of sweet components and vinegar’s. Usually not spicy at all. Use of a lot of fish. Fujian (min) – Fish sauce, sugar and many different variations of broths and soups. Mongolian – Think dairy and white sauces with red meat floating in it. Meats include goat, sheep, beef, horse-meat and even camel. Miao – Rice and more rice. Soup and more soup. Famous for sour soups and hot chili’s. American Chinese cuisine is featured widely in New Jersey and this style includes includes a wide variety of techniques from stir frying to deep frying. Flavors are milder than other regional types. New Jersey residents can also find an abundance of good Cantonese food as well. Cantonese cuisine originated from the South China sea province, Guangdong. 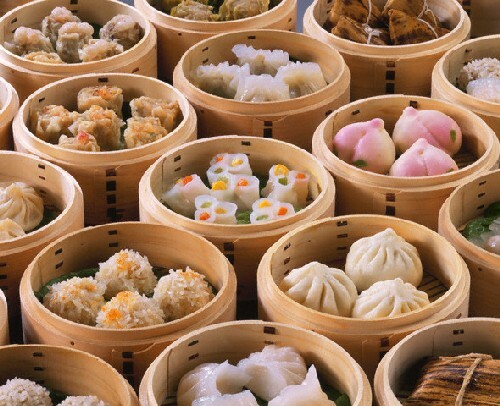 Culinary experts mastered this type of cooking by learning the methods to steaming and frying savory bite size portions and dim sum. Both dim sum, a dumpling filled with various ingredients, and these smaller dishes emphasize flavors such as soy sauce, spring onions, and rice wine. If you can handle the heat, Sichuan is the cuisine for you. Sichuan or Szechuan is the style of Chinese cuisine creating bold flavors from typical ingredients used in the Sichuan Province of southwestern China. These bold flavors, typically spicy, are developed from a variety of ingredients including chili peppers, garlic, and the native Sichuan pepper. New Jersey is home to many Chinese restaurants. It seems like there is one of every corner! We were looking for a few that were not terrible fancy but surely stood out from the rest. 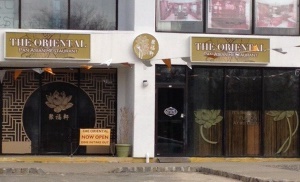 Our first pick is The Oriental Pan Asian Restaurant which is a relatively new Chinese Restaurant located on Route 9 in Marlboro NJ. The Oriental Pan Asian Restaurant is a great place to get delicious affordable Chinese cuisine ranging from lo mien to boneless spare ribs. 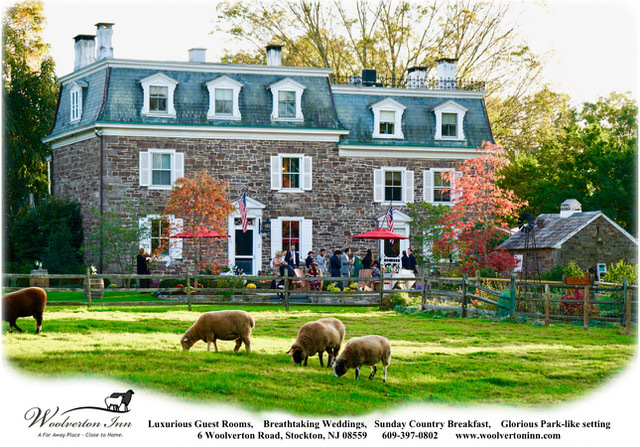 This wonderful restaurant is located at 172 Route 9 North, in Marlboro, NJ 07726. Consistency is important for the smaller Americanized Chinese restaurants in NJ. Having quality go-to dishes that taste fresh and homemade for the locals can make a good reputation for a restaurant. Tung Hsing House located on Summerhill Rd in Spotswood, NJ does just that. Their small cozy sit down dining room and their to-go counter consistently delivers quality affordable dishes. Another one of our favorite Chinese restaurants resides at 260 Nassau St. in Princeton, NJ. The small cozy and quaint restaurant is Tiger Noodles. Tiger Noodles has a small outdoor patio where patrons can enjoy all different types of noodle dishes of which all are great. Their spicy chicken, lettuce wraps, Dan Dan noodles, orange beef and shrimp with garlic sauce are all must trys. Visit the Tiger Noodles website here. 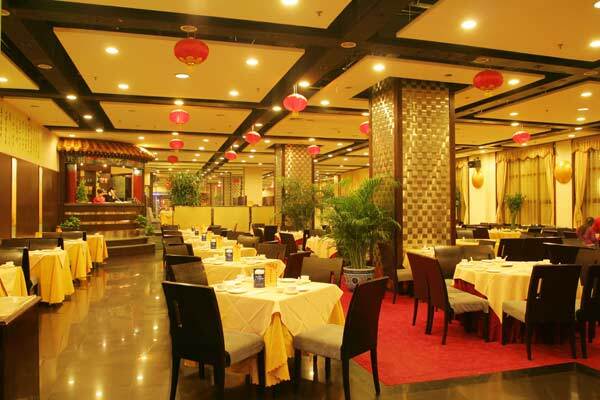 People have raved about the amazing dim sum and Cantonese cuisine at Wonder Seafood Restaurant over the years. The great thing about this particular place is not only the professional staff but the low prices. Head out to 1984 State Rt 27 Edison, NJ to experience Wonder Seafood Restaurant. In Harrison there is a great little Chinese restaurant, 5 Grain Rice, where you can get quality Cantonese cuisine. 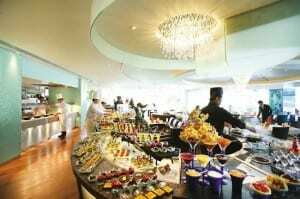 Besides dining, they also offer catering for all occasions. 5 Grain Rice can be found at 231 Harrison Avenue. Looking to spice it up? New Jersey has some great choices of some of the best Sichuan restaurants.Three favorites among reviewers and fellow bloggers are Chengdu 46, Szechuan Ace, and the Szechuan House. Chengdu 46 is offering the best authentic Sichuan cuisine by having an elite team of chefs from Sichuan and importing fresh seasonings straight from China. 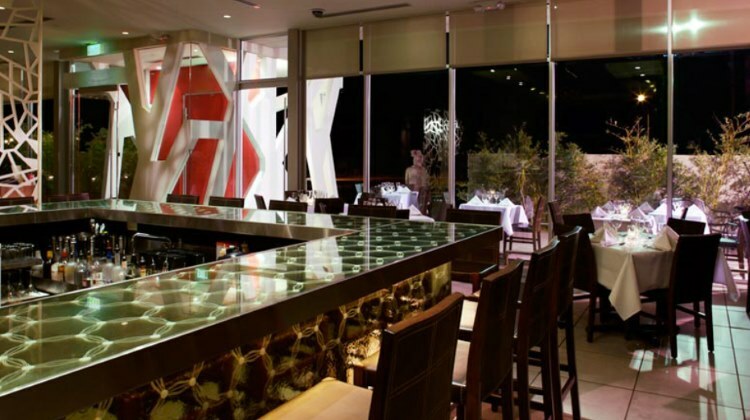 This lavish restaurant stresses health food and gourmet cuisine. If you are looking for a mouth-watering explosion of flavor drive to 1105 US Highway 46 in Clifton, NJ to experience Chengdu 46 for yourself. Szechuan Ace uses fresh ingredients and cholesterol free vegetable oil. 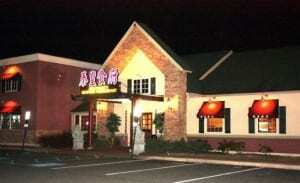 Next time you are in Somerset, NJ make sure to go to 1721 State High Way 27, to try Szechuan Ace’s tasteful food. Click here to see their website. Sichuan Spring was just recently added by us to this list in October of 2017 thanks to a comment by one of our visitors (Peter Talbot). Sichuan Spring is absolutely a front-runner for authentic Sichuan cuisine in the Central New Jersey area. Sichuan Spring is located at 1167 Raritan Ave, NJ-27 Highland Park, NJ. We pass by these Chinese restaurants all the time and yet have no idea how they came to be. After a flood of Chinese immigrants came to America in the 19th century, many Americans feared their jobs. They quickly drove out the Chinese in fields such as mining, agriculture, and manufacturing, With these job opportunities disappearing, the Chinese immigrants turned to jobs in the laundry and restaurant fields. A network of buses was then created in New York to transport these Chinese immigrants to restaurants all around the country. This simple cultural dispersal had a major effect on the infatuation with Chinese cuisine in America today. It was because of this cultural mix in American restaurants, we are able to enjoy a part of Chinese cuisine in New Jersey. Whether you live in northern, central or southern NJ, you will be able to find the best Chinese cuisine in your area. Being so close to a cultural mega spot, New York City, northern Jersey offers some of the best Chinese cuisine. If you are looking for China Town quality, Qin Dynasty is your place. The service is pristine and your food comes out quick. They also offer the traditional push carts of dim sum. When in Parsippany, make sure to drive to 857 Highway 46, to taste Qin Dynasty’s truly amazing food. Cheng Du 23 has been rated one of the top one hundred restaurants in the United States. It’s known for its delicious, authentic Sichuan cuisine. 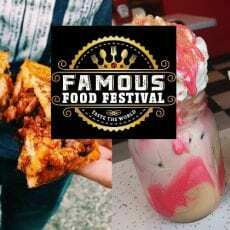 This top rated restaurant in Wayne is located at 6 Willowbrook Blvd. Chef John’s Authentic Chinese Cuisine in Whippany features a prize-winning chef from Shanghai, who creates savory dishes originated from Huaiyang and Shanghai .You can try the crystal shrimp which won the gold medal in an International Chinese culinary competition. What are you waiting for ? Check out Chef John’s Authentic Chinese Cuisine located at 831 State. Rt. 10. Golden East Garden offers reasonable prices for great food. Although a smaller sized restaurant it is packed with flavor! If you are in East Brunswick go to 50 W. Prospect Street, (right off of US State Hwy 18) for a taste of this wonderful authentic Chinese food. Sichuan Cottage provides signature Sichuan dishes such as shredded beef and spicy shrimp. From the outside, this spot does not look like much, but trust us, this is not an ordinary run of the mill Chinese Restaurant. It is a known local hidden gem! Sichaun Cottage is opened for lunch and dinner seven days a week. Take a trip to 8 South Main Street Marlboro, NJ for the ultimate dining experience. Sunny Palace uses steam carts and serves all the traditional Cantonese dishes. Every Saturday and Sunday they offer dim sum brunch. Sunny Palace can be found at 1069 RT 18, East Brunswick, NJ. Mei- Mei Chinese Take Out offers awesome food from handmade dumplings to tasty black bean sauce. Although it first appears as a quaint restaurant, Mei-Mei is filled with surprising flavor and character. The address for Mei-Mei is 633 Hamilton St, Somerset, New Jersey. West Lake Chinese Restaurant serves fresh seafood and excellent peking duck. Don’t miss out on some of their delicious cuisine! The locals say that they offer some of the best dim sum around. West Lake Chinese Restaurant is located at 1016 State Rt. 34 S, in Pine Crest Plaza, in Matawan, NJ. While using the highest quality ingredients Xina creates wonderful dishes from scratch.This restaurant is definitely worth the trip to 3430 Route 37 E, in Toms River, New Jersey. Asian Palace is a beautifully renovated space that surrounds you as you indulge in savory Chinese entrees. This amazing restaurant also serves sushi. You can find this fine restaurant at 3845 Bayshore Rd, North Cape May, NJ. Island Shore This consistent gem is a well known local Chinese food restaurant will spice your food by request and everything is always fresh and is made to order. When dining at this local hot spot ask for Chef Allen’s specialty of the day. You will not be disappointed! This restaurant is located at 232 Rt. US. 9 S, in Marmora, NJ. Mandarin Oriental in Harrison, NJ, is a buffet style restaurant.They will accommodate special requests. Go to 141 Bridgeton Pike to get all the Mandarin Oriental specialties you can eat! Tres Yan & Wu serves up eclectic Chinese cuisine. In 2012 it was named best sushi in South Jersey. Tre Yan Wu is located at 3131 New Jersey 38, Mount Laurel, NJ. After discovering new locations for tasty Chinese restaurants you may of noticed a variety of cuisines. Cantonese and Sichuan are just two of the many culinary traditions of China. Aside from these popular cuisines, you have Anhui,Fujian Hunan,Jiangsu, Shandong, and Zhejiang. Anhui cuisine focuses on incorporating local herbs and vegetables into meals. In Fujian cuisine, slicing is essential to bring out aromas and textures within the seafood dishes. The Hunan cuisine focuses on bringing out the spices and deep colors in food. Some of the most popular cooking techniques in Hunan include braising and smoking. Jiangsu cuisine is known for its distinctive taste. This type of cooking uses a lot of meat such as crystal meat. The Shangdong cuisine incorporates seafood ingredients and uses various cooking methods. 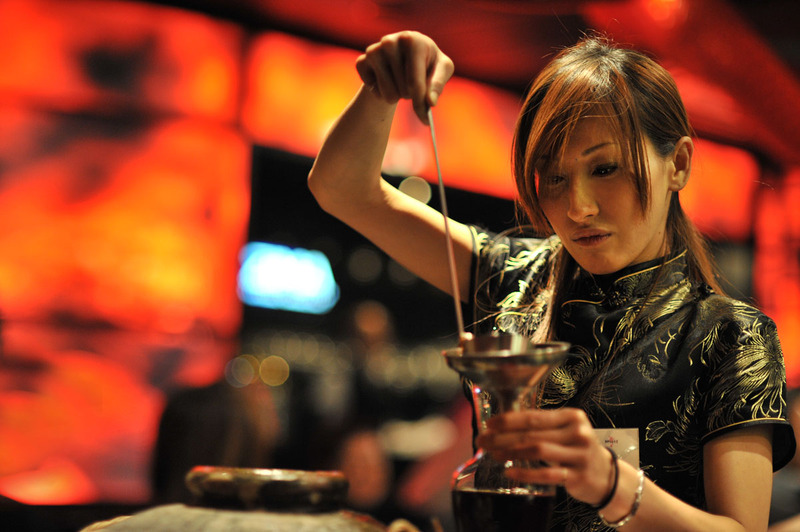 Zhejiang cuisine focuses on fresh flavors and mellow aromas. Chinese cuisine will continue to integrate into American culture. That is why there is an increasing number of Chinese restaurants within the New Jersey area. The best Chinese restaurants exemplify authenticity and engage in creativity. From take out to elegance, there is a Chinese restaurant for you in NJ. Other than Chinese cuisine, New Jersey is a great place to bite into all types of cultures and cuisines. NJ allows us to soak up many cultures without hoping on a plane. 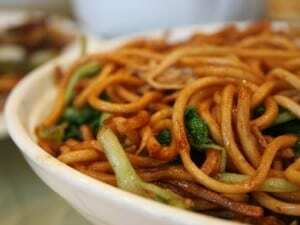 Please offer your opinion and leave a comment below of some of your favorite Chinese Restaurants in NJ. My boyfriend and I are always looking for interesting new places to eat. All these restaurants look great and we will be adding a few to our list. I want to try out the Sichuan Cottage. The spicy shrimp sounds amazing. Do you have to make reservations, or are walk ins ok? Thanks for all these great suggestions! Walk in’s are perfectly fine. If you are going at peak times on Friday or Saturday, it is always a good idea to call. If you haven’t been to the Peking Pavilion yet, make sure you get over there as we stand behind it as our pick of the best of all of NJ. I know this might sound crazy, but we recommend sitting the bar and ordering Corrina’s Critically Acclaimed 24oz. New York Strip Steak! Thanks for listing these! I am traveling to New Jersey to visit my family in January and have been looking for the best Chinese restaurants to check out while I am there. I think Tiger noodles looks amazing! I’ll definitely need to go and eat there. We’re so happy you found our article useful. When you visit New Jersey this January, we hope you find a delicious Chinese restaurant. 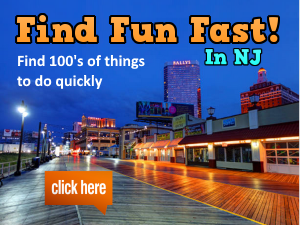 If you’re looking for more fun things to do while you’re here, check out FunNewJersey.com! We used to go to the Peking Duck in Closter, NJ, but they are gone now. Does anyone know of a place that is similar? Close by. New China Wok and Ewha Won are two Chinese restaurants in Closter, NJ. If you go there, let us know what you thought! Thanks for sharing this article. I love chines food. Agree with your rating of Peking Pavilion in Manalpan, Hunan Taste in Denville, and Chef Jon on NJ-10 in Whippany, but cannot say the same for Qin Dynasty in Parsippany, Chengdu 46 in Clifton nor Wonder Seafood in Edison, all of which are really catering to a Western crowd. The following are all superior to many of your selections. Note that Szechuan Lady (mistranslated as Szechuan House) in Hamilton, NJ is under new Management and new chef and staff are less experienced. 1. Dragon Palace, 1635 Oak Tree Rd, Edison, NJ free soups, onion pancake and mixed brown rice together with a very different and restrained menu with the best Chinese chef in all New Jersey. Honestly: second best in all NJ. 2. Sichuan Spring, 1167 Raritan Ave, NJ-27 Highland Park, NJ small family operated place very popular with the Asian students from Rutgers: surprisingly good seafood menu. 3. Shanghai Dumpling House, 1581 NJ-27, Edison, NJ a seriously crowded lunch spot: limited but excellent menu and the best Chinese take-away in all of North Jersey. 4. Noodle Wong, 770 Rt 46W Parsippany-Troy Hills, NJ across the street from Qin Dynasty in the mall behind the Shing Shing Chinese grocery. Excellent mixed Chinese menu. A hidden treasure. Thank you for your feedback. We have added Sichuan Spring to the post above as we fully agree with that choice! Noodle Wong looks very interesting for dim sum but we have heard many mixed reviews and have never tried it on our own, so we do not have enough data. Same with your other suggestions. We have not been able to try them just yet and we don’t know anyone close to us who has. But thank you again for taking the time to send us that quick list. You missed another great restaurant in Hamilton, NJ. Sun Lok Garden in Sunnybrae Plaza is the best Chinese restaurant I’ve ever been to.